Control your home's climate without breaking a sweat with our cooling and heating technologies. You'll find in this section a range of air conditioners , many with reverse cycle technology to keep you warm in the cooler months as well as cool in the warmer months. 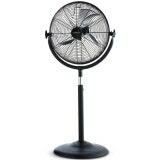 For more simple room-to-room heating and cooling, we have a range of portable electric fans and heaters. Our brands include: Beko, Fujitsu, Kelvinator, Mitsubishi Electric, Dyson, LG, Samsung, Dimplex, Panasonic, Omega Altise, Convair, Heller, DeLonghi, Sunbeam, Noirot, Nobo, Teco and Kambrook.